L.C. 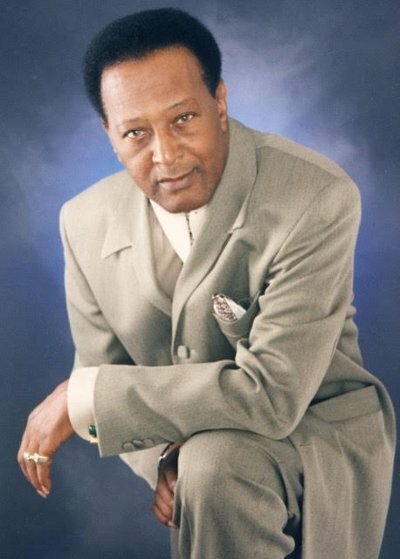 Cooke, 84, a rhythm & blues pioneer and younger brother of Sam Cooke died Friday, July 21, in a hospital where he was rushed from his Chicago-area home. He is survived by his wife Marjorie. His death was of natural causes and his funeral arrangements are private. There will be a church service in his memory at a later date. L.C. Cooke, like older brother Sam Cooke, was born in Clarksdale, Mississippi. Soon after his birth on December 14, 1932, the family moved to Chicago early the next year. L.C. was the fifth of ten children of Rev Charles and Annie May Cook (the “e” was added by both Sam and L.C. when they pursued their respective recording careers). Following the family’s move to Chicago, L.C. was part of a gospel group, organized by Sam, called The Singing Children along with brother Charles Cooke two of their sisters. By the 1940s, the Cooke brothers achieved some success as members of gospel’s Highway Q.C.’s. In 1956, L.C. joined a secular doo-wop vocal group called the Magnificents who recorded for Vee-Jay Records. Shortly thereafter, L.C. Cooke was signed to Chess where he cut I Need Your Love. In 1960 he signed with SAR Records, the label founded by his brother Sam. At SAR he recorded a string of single releases including The Wobble and Put Me Down Easy. Following the 1964 death of Sam Cooke and the concurrent sale of SAR, L.C. Cooke toured with the Upsetters, Little Richard’s legendary backing band. More recently, all of his SAR recordings, together with some of his efforts for Chess, were compiled by ABKCO Records and released as L.C. Cooke: The Complete SAR Recordings, his first legitimately released full-length album.